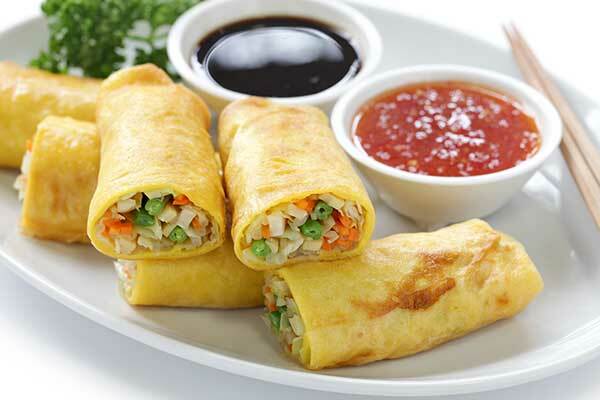 Spring rolls is a hot and popular recipe of the present. Almost every corner of every city has stalls which serve hot and spicy spring rolls. To make spring rolls seems like a complicated tasks in real it is very easy to make it. All you need is ready-made spring roll sheets, oil and frypan to fry and soya and chilli sauce to server. You could make spring roll in 5 minutes, if you have all stuff ready. Mix chopped cabbage, beans sprouts and carrots. Add soaked soy to the mixture. Wrap the mixture into spring roll sheets. Fry the wrapped mixture till it gets cooked.